Today, ume blossoms were in full bloom at Umenosato, Koriyama. 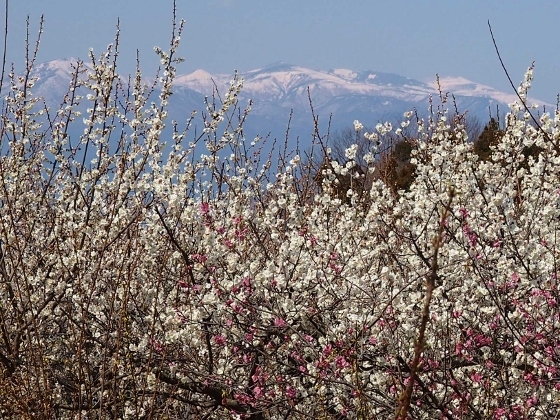 I could see still snow-capped Adatara Mountains through the white and partly red ume flowers as shown above. 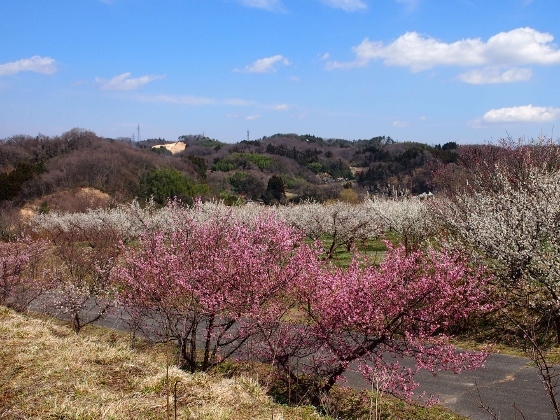 On the hill of Umenosato, there extends a field of ume trees covered with white and red colors as shown above. 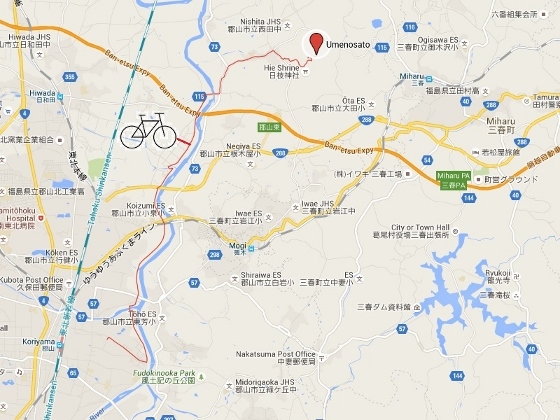 It truly gives us a feeling that spring has come.